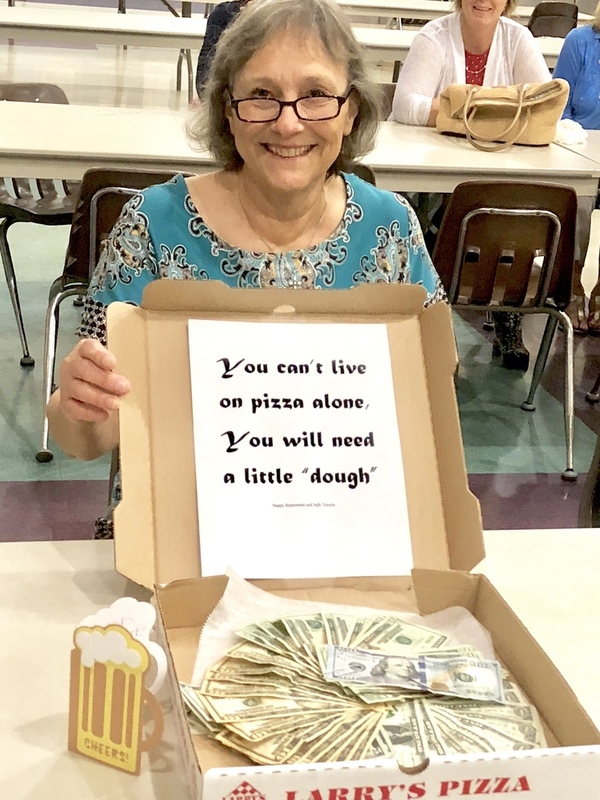 St. Joseph School Registrar Margaret Davis attended a retirement party in her honor May 23 in the Parish Hall. She's seen here accepting a unique gift. Academic Dean Teri Breeding also brought homemade cheesecake for everyone to taste. Margaret has served St. Joseph 34 years both as Registrar and a school secretary. She intends to do a lot of traveling starting next month.